Get Healthy on the Go! Should you say “sayonara” to cyanocobalamin? High-Dose Vitamin D Improved PFS in Colorectal Cancer, according to results of the SUNSHINE study. Presented at the ASCO 2017 Conference, SUNSHINE found high-dose vitamin D added to standard treatment slowed disease progression in newly diagnosed metastatic colorectal cancer. Packing for Snacking... Travel Tips! Eat well abroad... and on the way there! Trail mix: Whole Foods sells great mini-packs of nuts and raisins. Almonds and walnuts, especially, contain healthy omega-3 fat to induce “fullness” and protein for energy. Select a brand of trail mix without candies, chocolate, candied or sugared fruits/nuts, or sulfur preservatives (if possible). The more natural the better. Added sugar will give you a spike and then plunge in your blood sugar (bad for touring stamina), while added sodium may cause or enhance post-travel bloating. Chop up fresh fruit and vegetables pre-flight. Chopped apples and pears are always refreshing, while tangerines or mandarin oranges are easy to pack with their protective peels. Carrots and celery will add a low-calorie crunch. Almond butter packets come in very handy! Spread over the chopped fruits, rice cakes, or eat raw. Same idea with hummus, if you can find travel-size packs. Bars: choose a brand with the least amount of ingredients as possible! Products now exist with only 3-5 ingredients, for example, purely nuts and fruits. Crunchy carbs: although gluten-free crackers and carbohydrate-laden products can be found, these should be packed sparingly, if at all. A good alternative would be unsalted rice-cakes (good with almond butter), although fresh nuts, vegetables, and fruits provide more healthful nutrients. Before you arrive, look at menus online… when you can translate them to English! A simple online search for “gluten-free, dairy-free restaurants” in your desired destination might lead to helpful suggestions. Reading online reviews was also very helpful for us on this trip. Many websites and blogs will provide lists of food-intolerant friendly places for eating. Try to make your reservations in advance! Translations: write out the foods to which you are allergic or intolerant in the native language to show waiters to ensure you order properly. Take a screenshot of these translations and keep them on your phone, if you fear losing pieces of paper. Ask a native speaker, if you happen to have one as a friend! Having a food orientation from a Portuguese colleague personally came in very handy. Restock fruits (fresh and dried), vegetables, and nuts (preservative-free, if possible). Sliced avocado in the morning with salt and pepper is a great eat-and-run breakfast that will provide satiating nutrients for your active morning. If you pack chia seeds with you, you can buy preferred variation of milk (almond, soy, coconut) for chia seed pudding, which came in very handy on our trip! Chia seed pudding with added trail mix and chopped up dried pears and figs. Eggs and olive oil are wonderful if you have a stove top. Hard boil eggs the night before and keep in the fridge for a quick breakfast the following morning or scramble them with olive oil prior to exploring. Pack extra plastic bags or small containers for your snacks to preserve them for the duration of your trip and traveling back home! Get creative with staple products from home and local products you can purchase abroad. Omelet with fresh, orange-yolk eggs, hand-picked oranges from Douro Valley, and chia seed pudding. In short, the answer is, “Yes.” Cancer cells, because they grow, divide and multiply much more rapidly than normal cells, consume a higher concentration of sugar for energy. We, oncologists, capitalize on this phenomenon in using PET scans (PET = positron emission tomography) to identify tumors and areas of metastasis in patients. PET scans use modified glucose molecules, injected into patients’ veins, that light up in places where cancer cells are thriving. “Good,” he said. “Then it makes sense that I am now on a ketogenic diet, don’t you agree?” In theory, his reasoning made sense… but does science support this notion? What’s the story with this diet? 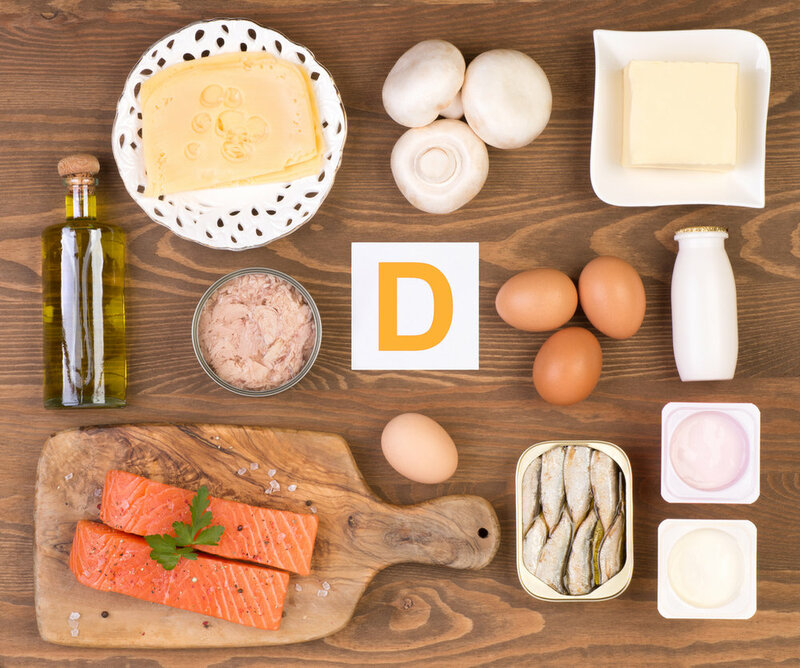 A ketogenic diet (KD) is high in fat, moderate in protein, and low in carbohydrate intake. In medicine, it is already commonly used to treat hard-to-control epilepsy in children. The diet forces the body to burn fats rather than carbohydrates. Normally, the carbohydrates we eat are converted into glucose, which is then transported around the body and fuels the brain. However, if carbohydrates are lacking in our diet (usually below 50g/day), our bodies must break down fat to get energy (great for losing weight and the basis of Dr. Atkins’ diet). The liver converts fat into fatty acids and ketone bodies. Ketone bodies replace glucose as an energy source and pass right into the brain. Some studies even suggest the brain functions better on ketones ! Interestingly, an elevated level of ketone bodies in the blood, a state called ketosis, leads to a reduction in the frequency of epileptic seizures . Clinical applications of KD, aside from epilepsy, include neurodegenerative disorders, such as amyotrophic lateral sclerosis (ALS), Alzheimer’s disease, and Parkinson’s disease, and case reports and small case studies indicate improvement in patients with autism, depression, polycystic ovarian syndrome, and type 2 diabetes mellitus . In theory, KD for cancer makes perfect sense. Cancer cells, compared to normal cells, cannot use ketones as an efficient energy source . KD protects normal cells from energy stress while depriving cancer cells of glucose. This diet forces cancer cells to employ a different type of metabolism (mitochondrial, or oxidative, metabolism) that induces metabolic stress. Mitochondrial abnormalities and genetic mutations make tumor cells particularly vulnerable to metabolic stress, which could then selectively sensitize cancer cells to conventional radiation and chemotherapies . So what does the research show? Currently, the University of Iowa, in collaboration with the National Institutes of Health (NIH) and National Cancer Institute (NCI), is investigating a phase I trial to see if KD during combined chemotherapy and radiation is safe and well-tolerated. Preclinical studies date back to 1987, when it was first shown that mice with colon adenocarcinoma on a KD had decreased tumor weight . Additional studies using KD in cancer reported reduced tumor growth and improved survival in animal models of brain cancer (malignant glioma), colon cancer, gastric cancer, and prostate cancer [6, 7]. KD may also increase the effects of radiation in certain types of brain cancer and lung cancer models [8, 9]. Fasting also induces a state of ketosis, the same effect as being on KD, and in pre-clinical cancer therapy models, was shown to enhance responsiveness to chemotherapy and possibly even reduce normal tissue side effects. In addition, fasting cycles were reported to slow tumor growth and sensitize a range of cancer cell types to chemotherapy . Successful case reports include two female pediatric patients with advanced stage malignant astrocytoma with a 21.8% decrease in tumor SUV when fed a KD, determined by FDG uptake in PET scans  and a 65 year old female with glioblastoma multiforme treated with calorie-restricted KD with standard treatment . On the contrary, diets high in sugar may play an adverse role in the progression of cancer. For example, epidemiological studies have shown that dietary sugar intake has a significant impact on the development of breast cancer, possibly through inflammation and in preclinical studies; dietary sugar seems to induce 12-LOX/12-HETE signaling (involved in the inflammatory cascade), increasing the risks of breast cancer development and metastasis . Will anything bad happen on it? It shouldn’t! A quality of life study in patients with advanced cancer found that KDs had no severe adverse effects and even improved emotional functioning and insomnia . Common early side effects from high fat intake include fatigue, stomach ache, acidosis, nausea, and vomiting, which could lead to dehydration and hypoglycemia or low glucose levels in children. Long-term side effects, only after a year on a KD, include high cholesterol levels, kidney stones, cardiomyopathy, and bone mineral loss . It is also important to take a multivitamin on it, as trace minerals like selenium, copper, and zinc, may be depleted. What if I don’t have cancer? Should I still try this diet? A ketogenic diet has been shown to be effective in other diseases. As mentioned above, it can help control childhood seizures in refractory epilepsy, treat obesity (think: Atkin’s diet), and may also play a beneficial role in slowing the progression of neurodegenerative disease. New case reports indicate improvement in patients with autism, depression, polycystic ovary syndrome (PCOS), and type 2 diabetes mellitus. In general, a diet that is low in sugar and refined carbohydrates, and higher in healthy fats and vegetables is a healthier lifestyle choice. It will prevent sugar spikes, that cause high levels of insulin release after meals and then the sleepiness (“food-coma”) that shortly ensues, thereafter. What does a day on a KD look like? Sugar-Free: To Be or Not to Be? Current research shows promise for a ketogenic diet and cancer, but a KD is by no means a cure, either alone or in combination with chemotherapy and radiation. Animal models of calorie restriction and KD have demonstrated reduced tumor growth with limited toxicity. Thus far, evidence in humans includes a potential role of a low-carbohydrate diet in preventing and treating malignant gliomas, breast cancers, colon cancers, and head and neck cancers. However, most studies so far come from non-randomized trials, while randomized controlled trials would be the gold standard for testing an intervention’s efficacy. In addition, applying dietary restrictions to cancer patients is complex, as incidence of malnutrition and cachexia is frequent. In these delicate patients, a balance between dietary restriction and nutritional support is paramount. To be safe, cancer patients should be advised to pursue a KD via participation in a clinical trial, under the watchful eye of a physician. Overall, a low-sugar diet is a healthy lifestyle choice and a goal we should strive for daily. To put your body is ketosis, though, to treat disease such as cancer, should only be done with the approval and guidance of a physician, as some complications may arise. Meanwhile check out CitySlim’s Recipes for healthy, balanced meal and snack choices. 1. Henderson, S.T. and J. Poirier, Pharmacogenetic analysis of the effects of polymorphisms in APOE, IDE and IL1B on a ketone body based therapeutic on cognition in mild to moderate Alzheimer's disease; a randomized, double-blind, placebo-controlled study. BMC Med Genet, 2011. 12: p. 137. 2. Freeman, J.M., E.H. Kossoff, and A.L. Hartman, The ketogenic diet: one decade later. Pediatrics, 2007. 119(3): p. 535-43. 3. Allen, B.G., et al., Ketogenic diets as an adjuvant cancer therapy: History and potential mechanism. Redox Biol, 2014. 2: p. 963-70. 4. Seyfried, T.N., et al., Press-pulse: a novel therapeutic strategy for the metabolic management of cancer. Nutr Metab (Lond), 2017. 14: p. 19. 5. Tisdale, M.J., R.A. Brennan, and K.C. Fearon, Reduction of weight loss and tumour size in a cachexia model by a high fat diet. Br J Cancer, 1987. 56(1): p. 39-43. 6. Freedland, S.J., et al., Carbohydrate restriction, prostate cancer growth, and the insulin-like growth factor axis. Prostate, 2008. 68(1): p. 11-9. 7. Vergati, M., et al., Ketogenic diet and other dietary intervention strategies in the treatment of cancer. Curr Med Chem, 2017. 8. Fath, M.A., et al., Enhancement of carboplatin-mediated lung cancer cell killing by simultaneous disruption of glutathione and thioredoxin metabolism. Clin Cancer Res, 2011. 17(19): p. 6206-17. 9. Abdelwahab, M.G., et al., The ketogenic diet is an effective adjuvant to radiation therapy for the treatment of malignant glioma. PLoS One, 2012. 7(5): p. e36197. 10. Safdie, F.M., et al., Fasting and cancer treatment in humans: A case series report. Aging (Albany NY), 2009. 1(12): p. 988-1007. 11. Nebeling, L.C., et al., Effects of a ketogenic diet on tumor metabolism and nutritional status in pediatric oncology patients: two case reports. J Am Coll Nutr, 1995. 14(2): p. 202-8. 12. Zuccoli, G., et al., Metabolic management of glioblastoma multiforme using standard therapy together with a restricted ketogenic diet: Case Report. Nutr Metab (Lond), 2010. 7: p. 33. 13. Jiang, Y., et al., A Sucrose-Enriched Diet Promotes Tumorigenesis in Mammary Gland in Part through the 12-Lipoxygenase Pathway. Cancer Res, 2016. 76(1): p. 24-9. 14. Schmidt, M., et al., Effects of a ketogenic diet on the quality of life in 16 patients with advanced cancer: A pilot trial. Nutr Metab (Lond), 2011. 8(1): p. 54. Gluten-Free: To Be or Not to Be? CitySlim is a health, wellness, and nutritional resource, geared for busy people who want to make positive lifestyle changes. It is curated by Dr. Tara A. Berman, an Ivy League-educated, Board-Certified Medical Doctor, who specializes in Oncology, the medical treatment of cancer patients. Dr. Berman also holds a Master of Science in Nutrition Degree from Columbia University.